Family dentist, Jessica Kakos, D.D.S., practices a full scope of general dentistry. Dr. Kakos has the specialized equipment, modern facility, and the experienced staff to address all your dental needs. 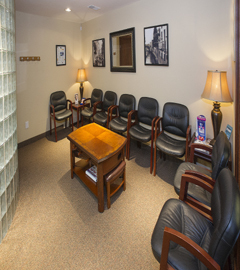 Dr. Kakos’ warm and caring environment will surely put you at ease. Welcome to our practice! Dr. Jessica Kakos and staff are here to render caring, quality dental care, promptly and professionally, in a pleasant and friendly atmosphere. We put the patient first in all we do and aspire to achieve high standards of excellence and patient satisfaction.